PTE. 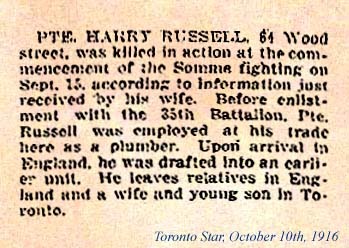 HARRY RUSSELL, 64 Wood street, was killed in action at the commencement of the Somme fighting on Sept. 15., according to information just received by his wife. 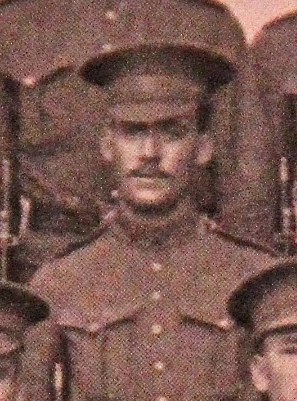 Before enlistment with the 35th Battalion, Pte. Russell was employed at his trade here as a plumber. 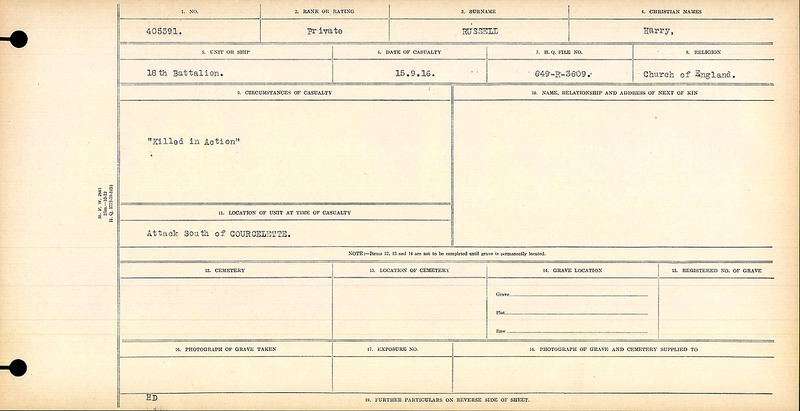 Upon arrival in England, he was drafted into an earlier unit. He leaves relatives in England and a wife and a young son in Toronto. Toronto Star. October 10, 1916.